Kapamilya kids are in for a world of fun and adventure as Doraemon finally joins the Kapamilya network. Doraemon, the plumped-face blue cat robot from the future, is a beloved manga character many of us grew up with. In a trade event held on March 5 at the Green Sun Hotel Axon, the titular robot cat from the future, along with his friends Nobita, Shizuka, Suneo, and Takeshi was introduced to the public as a member of the Kapamilya network. ABS-CBN’s Acquisitions and International Sales Distribution (ISD) division partners with Animation Intl. Ltd., ShoPro, and ADK Emoticons, Inc., the companies that owns the rights to distribute the Doreamon franchise. “We are very happy and excited to finally say that Doraemon is a Kapamilya. It has been a long time coming and we believe this is a landmark acquisition for our kiddie viewers, and kids at heart, who have been asking when Doraemon will ever show up on ABS-CBN,” said ABS-CBN Acquisitions and ISD head Macie F. Imperial. Set to air on ABS-CBN’s TVplus channel, YeY!, starting May, Doraemon follows the adventures of Nobita Nobi, a young boy who suffers from bullying, and his trusty friend Doraemon, a robotic cat sent by one of his descendants from the future to protect and guide Nobita. 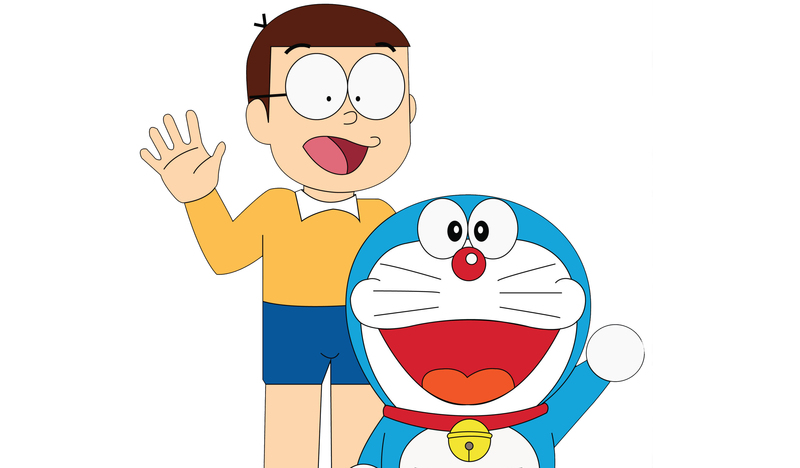 Using his four-dimensional pocket from where Doraemon pulls his gadgets, Doraemon helps Nobita in his adventures. “We are very excited because we didn’t have Doraemon on television for a long time and ABS-CBN is one of the best channels here so we’re really looking forward to this partnership,” said Animation Intl. Ltd. general manager Tim Kondo, who is elated to finally bring Doraemon to ABS-CBN via their YeY channel on ABS-CBN’s TVplus. Doraemon premieres on May 27 at 5:00 p.m. on YeY, available on ABS-CBN’s TVplus. Topics: Doraemon , ABS-CBN , Macie Imperiel , Tim Kondo , YeY!